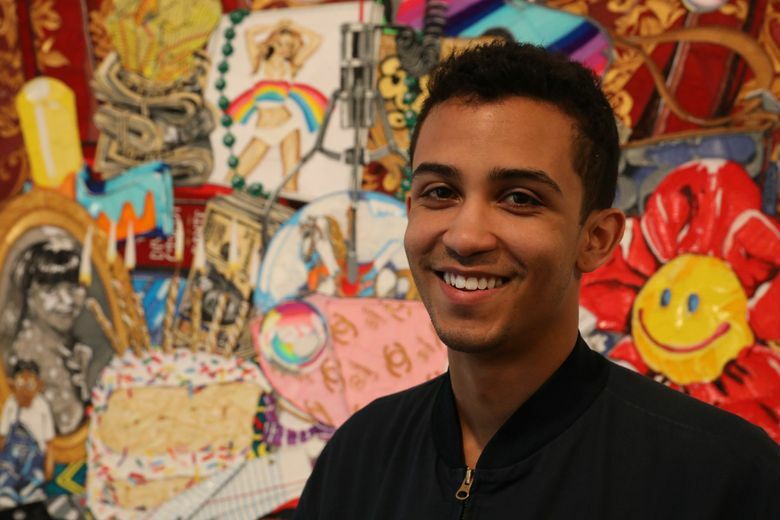 Artist Anthony White went from graduating Cornish last May to selling all of his paintings before opening night of his debut exhibition at Greg Kucera Gallery. His curatorial work has also taken off. 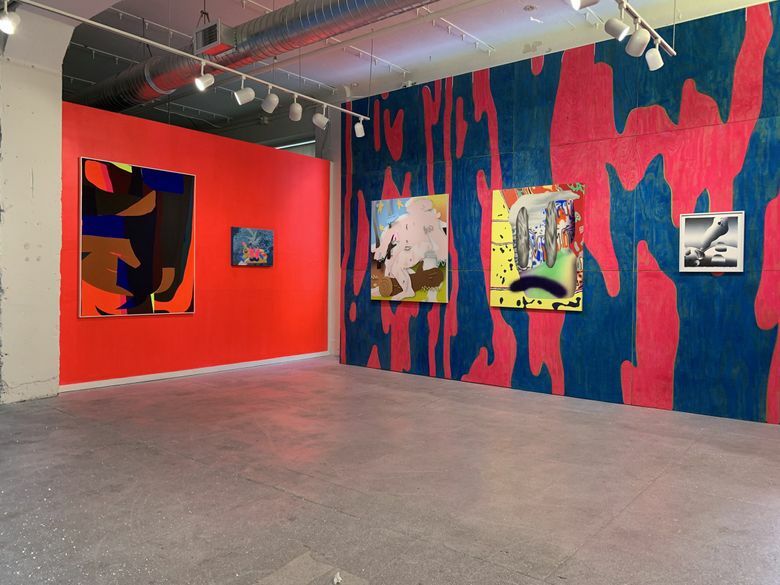 More than 300 artists now participate in “While Supplies Last,” one-night-only shows in which all the artworks are priced at $30. It’s been quite a ride for 24-year-old artist Anthony White. Over the past few months, he’s been called Seattle’s “buzziest artist” and “the boy wonder of Seattle’s visual art scene.” The hype surrounding Anthony White is warranted: his work is very, very good. His exuberant portraits and still lifes display young bodies and brand names, bringing together concept, content, and technique in a way that’s both sophisticated and accessible. With strands of melted plastic, White creates big, bright paintings and smaller sculptures of consumerist abundance and socially mediated self-representation. We see selfies and bathroom mirrors and designer accessories piled together with art historical references and fast-food wrappers. The extensive media coverage has pointed out how uniquely rapid his trajectory has been. Just last May, White graduated from Cornish College of the Arts (disclosure: I taught White at Cornish). His BFA exhibition not only sold out — a rare occurrence — it led to representation by Greg Kucera, owner of one of the most prestigious art galleries in Seattle. 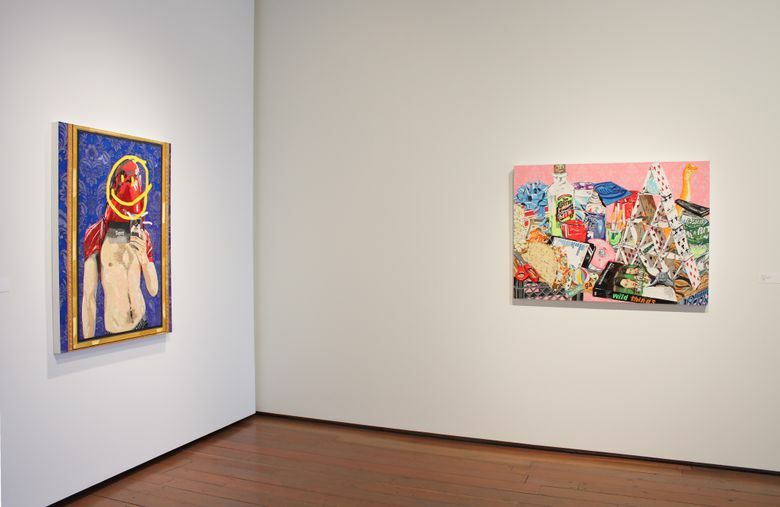 And now, White’s debut exhibition at the Greg Kucera Gallery is being met with critical and commercial success; all of the paintings were bought before opening night and, at press time, there were just a few of his smaller sculptural objects still available. What can get lost in the swirl of attention surrounding White is the profound intimacy of his pieces and his commitment to build community through curating work by other artists. He’s organizing two exhibitions in February: “Ultra Light Beams” and “While Supplies Last,” both at Mount Analogue. In his own art and in his curation of others’ work, certain themes come across: social connections, digital savviness, and leveling traditional boundaries between fine art and pop culture. White’s interest in flattening hierarchies comes through in his curatorial activities, too. About a year ago, he launched “While Supplies Last,” a project that brings together a variety of artists for online networking and one-night-only art shows at various locations in Seattle. All of the small works are on paper and priced at $30. When Mount Analogue’s Colleen Louise Barry invited White to use the gallery space, he knew he wanted to organize a group show featuring some of the connections he’s made through “While Supplies Last.” The show, which White has titled “Ultra Light Beams,” features 12 artists who explore “a day-glo painting style and its relation to post-analog rhythms and aesthetics in the age of the internet,” according to his curatorial statement. White has also been invited to curate shows in artist-run spaces in Detroit and Los Angeles.